an ideal concert stage with them. First introduce this aluminum stage by its component. 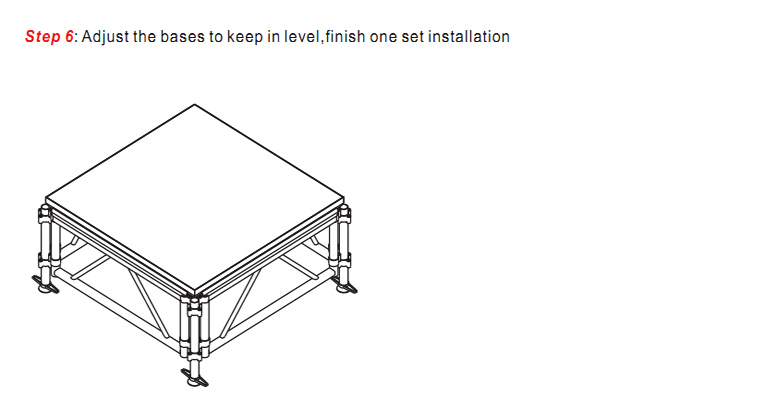 An aluminum stage modular, included stage platform, stage brace, stage legs, and stage base. be adjustable in 5cm, which is perfect for outdoor stage. After understand this aluminum stage, we begin to teach you how to assembly it. It will take 10 steps as following showing for you. Want to learn more about aluminum stage? Please find them in our homepage. Thank you.